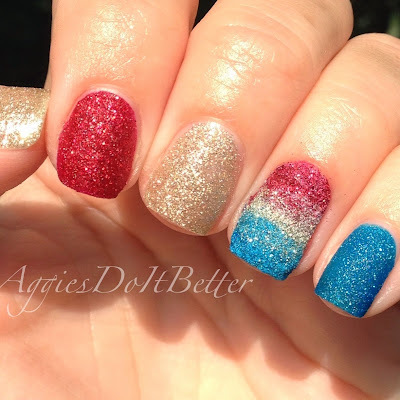 Aggies Do It Better: Zoya Pixiedust Gradient for July 4th! You guys know I love the Zoya Pixiedusts! 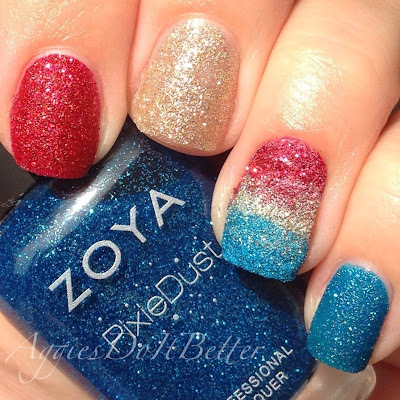 Here I tried my hand at a gradient...I think it came out ok but I don't love it!